What if the tourism department of India or ASI imposes a fine on Canadian Prime Minister Justin Trudeau for having his recent family portrait taken in front of the Taj Mahal? Or instead, impose a fine on the security guards at the Taj for allowing the Canadian prime minister to do so? What if Paris bans portraits of people with Eiffel Tower as the backdrop? What if Central Park in New York bans couple shoots and other photo ops in its space? And says that one can only photograph the leaves and flowers there? What if China says that you can only photograph the wall at the Great Wall of China and not the people standing in front of it? What if Mumbai bans photo shoots in Juhu beach? Or say, India bans photo shoots in its entire southern coastal stretch? Well, I felt the same when I read that the Horticultural Department in Karnataka has banned photo shoots in the historic & prominent landmark of Bengaluru city – The Lalbagh Botanical Gardens. The newspaper Bangalore Mirror recently published an article – Private Photo shoot doesn’t click with Lal Bagh. Pack Up! The article mentions that the Horticultural Department in Karnataka has banned with immediate effect photo shoots like Prewedding couple portraits, maternity shoots, or any private shoot for people. According to the article, one of the main reason seems to be the word ‘awkward’. Apparently, few people (who are not involved in the photo shoots) are finding it awkward to see others getting their pictures taken. Now, I find this reason as awkward rather than the photo shoot. Is this (people photography) another addition to the growing list of reasons people are taking offense? Are we really on course to become the nation of the offended? I shall get back to the ‘awkward’ word shortly. First, let us dig deeper into the issue and the letter issued by the horticultural department to the Lalbagh security. The letter has been included in the article published by Bangalore Mirror. Here are few passages from the article. How exactly is ‘people getting their pictures taken by a photographer’ infringement of the privacy of others? I don’t think couples, expectant mothers, and families hire a photographer to take pictures of others/strangers/visitors to Lalbagh. Do they? Please tell me or give me a situation where a pregnant woman paid a photographer to shoot random strangers in the garden? I don’t think there exists any such case. Pressurize and penalize the security guards there? Now, you know the reason why mentioned the Canadian prime minister’s family portrait in the starting of this blog post. Is the security going to check every memory card, unexposed film negative, every smartphone, every digital camera at the exit gate of Lalbagh to see if there are photographs of human beings instead of leaves? This rule is absurd and unfair. Lalbagh is landmark site of Bengaluru. People over the ages have taken their portraits in landmark sites across the world. These pictures have been part of our personal family albums and archives. People come as individuals, as families, as groups for tourism and picnic here. Does it make sense to say that you can only photograph leaves and not each other? One of my favorite photographs from our personal family archives. 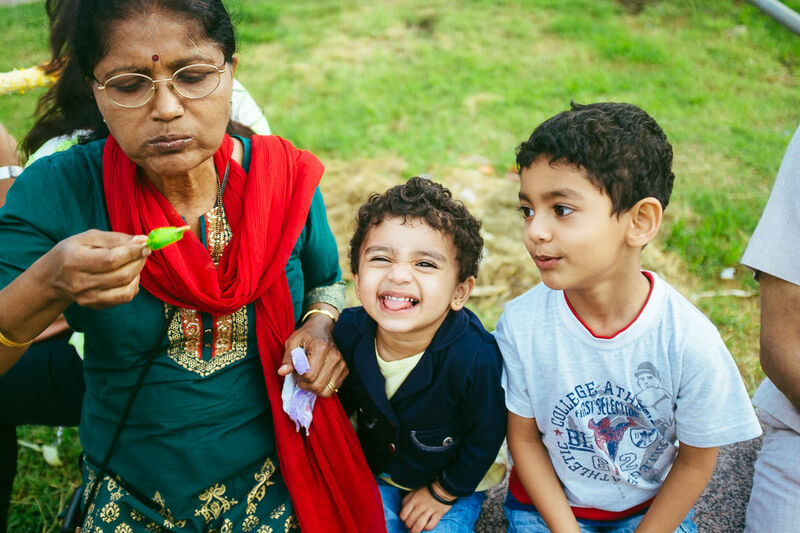 A candid moment of my niece along with my mom and nephew. If I am to photograph only leaves, then will I be able to document such precious memories for my family, friends, and clients? Lal Bagh. August 2014. Even, Lalbagh has always had photographers in front of the glass house who took portraits of families with glass house as the backdrop and charged a sum for the service. They even carry portable printers along with cameras to give an instant print. So, why suddenly a ban on people photography? Photography has evolved with technological advancements. Not everyone still pays for the above-mentioned instant photo booth service at Lalbagh. People have cameras on their mobile phones now. Some people prefer to take their own pictures digitally using smartphones. Some even get a portrait photographer of their own choice to do their maternity shoots or couple shoots rather than relying only on the photo booth operator in front of the Lalbagh glass house. Why deny citizens the opportunity to use city’s famous landmarks as the backdrop or canvas to their personal portraits? Using the city’s landmarks only further promotes the city as a destination for tourists which will translate to more visitors. Isn’t that a good thing for the horticultural department and Lalbagh? More visitors meaning more revenue and more funds for maintenance of the botanical garden. Chandrashekar, from the horticulture department, said: “These shoots begin early in the morning and they bring lights and tripods and other equipment.” “People can click pictures for recreational purpose; we charge Rs 50 per camera inside the garden. The greenery is disturbed by all these equipment. That’s why the ban,” he added. Landscape and nature photographers have always used tripods to capture scenic images. Have the usage of tripods in such situations harmed the flora and fauna of Lalbagh? If not, then why does the circumstance change if the subject is replaced from leaf to a human face? I have spoken to many photographers who have taken pictures at Lalbagh. They have all been responsible citizens. None of them damages the garden. None of them has even littered the space. I have personally photographed in Lalbagh many times in the past. I haven’t littered, damaged or left behind any of my equipment/prop at the botanical gardens. In fact, we all respect and love our green space. Getting back to the word “awkward” now. Below are some passages where the word has been quoted multiple times in the articles. an increase in the number of photo shoots for weddings and maternity inside the garden premises, and the public has frequently been bringing this to the notice of the department, saying it was ‘awkward’ for others. These sessions, he wrote, would start “as early as 7 in the morning and continue the whole day. This has been brought to our notice and it has raised awkward situations amongst the public who visit the place and the public has raised objections to it”. The population of Bengaluru city is about 12.34 million. The city has been slowly losing the green cover over the years. Thanks to Lalbagh botanical gardens and the Cubbon Park, and few other large parks in the city, this huge and ever-growing population has some public space left with the green cover. Doesn’t every citizen of this cosmopolitan city have a right of access to this space? Doesn’t everyone have a say in what activities would keep the atmosphere vibrant and healthy in this space? Or does Lal Bagh belong to a very elite population or a subset of the population of this city who believe “jogging/walking” is the only permissible and acceptable activity that should be permitted in the botanical gardens? Should there be a blanket ban on people photography just because few people find it offensive or awkward? If tomorrow, someone says the sight of couples walking (without a camera or photographer) itself is awkward, do we have to ban entry of couples to Lalbagh? I hope the Horticultural Department reconsiders its decision. It is completely against the vision of the Tourism Department of the state. The tourism department recently launched a logo for Bengaluru city during the last Bengaluru Habba. The marketing of Bengaluru with its ‘Be U’ logo aims to create a brand value for the city aiming for more jobs in the hospitality industry. Such “people and tourism unfriendly” rules will work against this vision. When the BeU logo was launched it said Bengaluru has joined the league of cities like New York, Melbourne, and Singapore as they have their own logos. Hopefully, these cities will now not join Bengaluru by banning photo shoots at their parks. Talking about Central Park in New York, the administration of the park doesn’t ban photo shoots there. It, however, has a system in place to facilitate photo shoots. It doesn’t charge for personal photo shoots either. Maybe, the horticultural department should take a look at the Film & Photo Shoots section of the Central Park website and take a cue from it. Nishant is a Bangalore, India based Wedding, Portrait & Editorial Photographer. He is available for assignments across India. He also conducts photography workshops and offers personal photography mentorship. This entry was posted in People and tagged bangalore mirror, bengaluru, couple shoot in lalbagh, horticultural department, Karnataka, lalbagh, maternity shoot in lalbagh, photoshoot, portrait photography, tourism. Great article and well written. Lalbagh has and will always be a blue-eyed boy for all the photographers in Bangalore. It is sad that due to some reasons the government has banned photography in Lalbagh. I have written a blog about the beauty of Lalbagh. Hope you and your readers find it an interesting read. 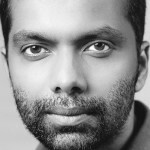 Nishant is Bangalore, India based Contemporary Wedding, Portrait & Editorial Photographer, and a Photo Educator.